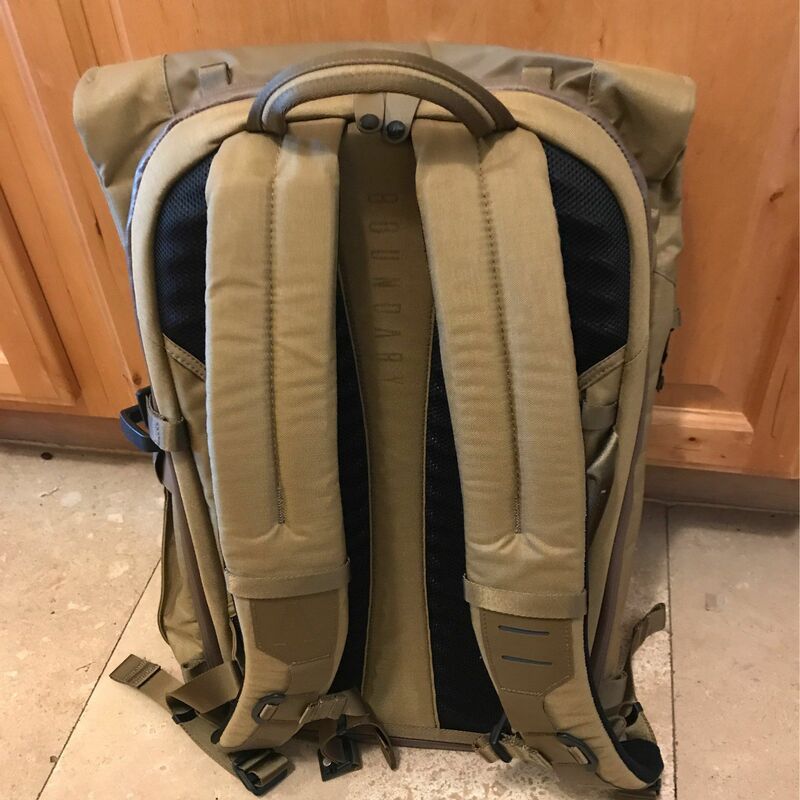 I was Kickstarter backer #2606 on the Boundry Supply Errant backpack, billed as the “ultimate everyday backpack.” The promise was a environmentally responsible, well-designed pack made with the best materials available at an affordable price. Presentation was good, I like the eco-conscious packaging. Kodra fabric is fantastic looking/feeling in Hymassa Tan. Better than expected. Materials all around seem super solid, metal and zippers are high quality. That said I’m not sure about durability of Hypalon over time, especially at the attachment point on the bottom of the pack which will be stressed often. Is the fabric on the lid a bit misaligned or does it just kind of seem that way due to how it was folded? 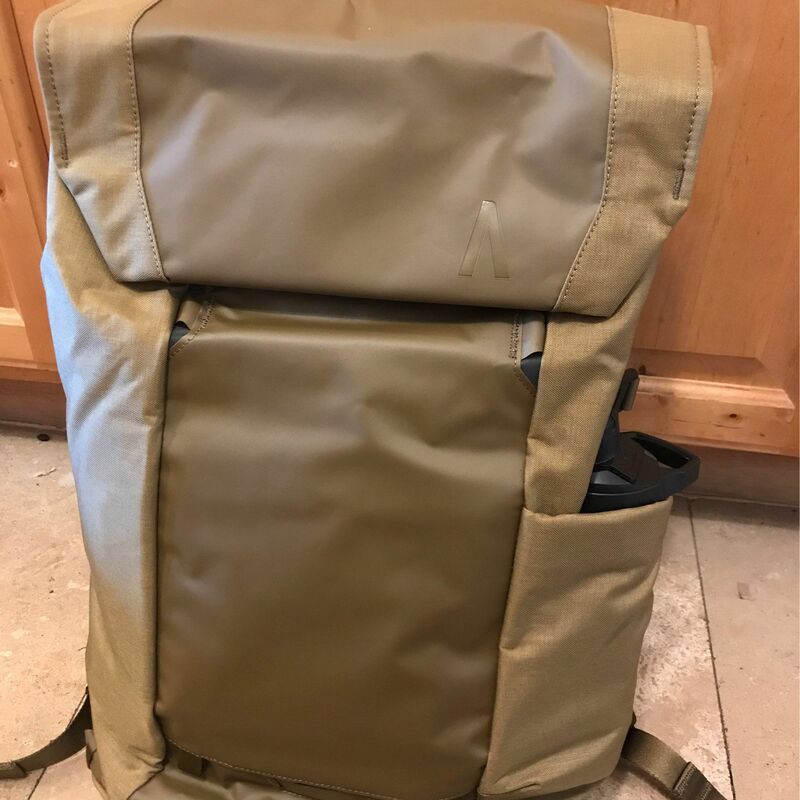 There seems to be some evidence of rushed production: the bag that the pack was in had a quality control sticker seal on it that was already broken (did they replace the pack in the bag? Take it out after sealing for one more check?) and there are some loose threads in places. Organization is great. It’ll be easy for everything to have a place. Likely won’t be able to use to use every organizational feature simultaneously (depending on what you pack) as they tend to take space from other compartments. Included waist belt is fairly useless unless you’re planning intense physical activity and must guarantee absolutely no movement on your back. Think running/climbing/cycling. Covert passport/wallet pocket seems useful. Magnets. How do they work??? I like them on the flap and don’t find them annoying. It’s helpful to think of “snapping” them in place, not sliding. I like them in the top compartment too, but find the main latch it a bit tricky to open. Not sure how necessary or useful they are for the sternum strap. Love the side access pocket. Love the clamshell + top-loading design. Already useful. Thoughts on the two accessories purchased (HT Keyclip and AUX compartment) forthcoming.